Fenner is a large manufacturing business with sites worldwide, including seven in the UK. Much of the company’s workforce consists of manufacturing shift-based workers, earning around the UK’s average salary. Why did Fenner need Better with Money? Fenner re-launched their benefit website and wanted to help employees get the most from their benefits and save more for retirement. The company offer a matched pension scheme of 8% and wanted to help employees find their 8% contribution, without just telling them to save more money. As an organisation, helping our employees to utilise all relevant aspects of the reward package on offer maximises the value both to them, and to the business. Peter Watson, chair of the firm’s Retirement Plan Governance Committee. What did Better with Money do? 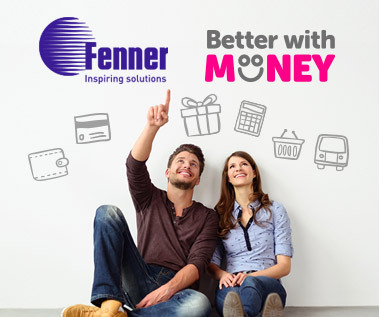 Better With Money helped to re-launch Fenner’s benefits website with fun workshops and some tempting freebies. 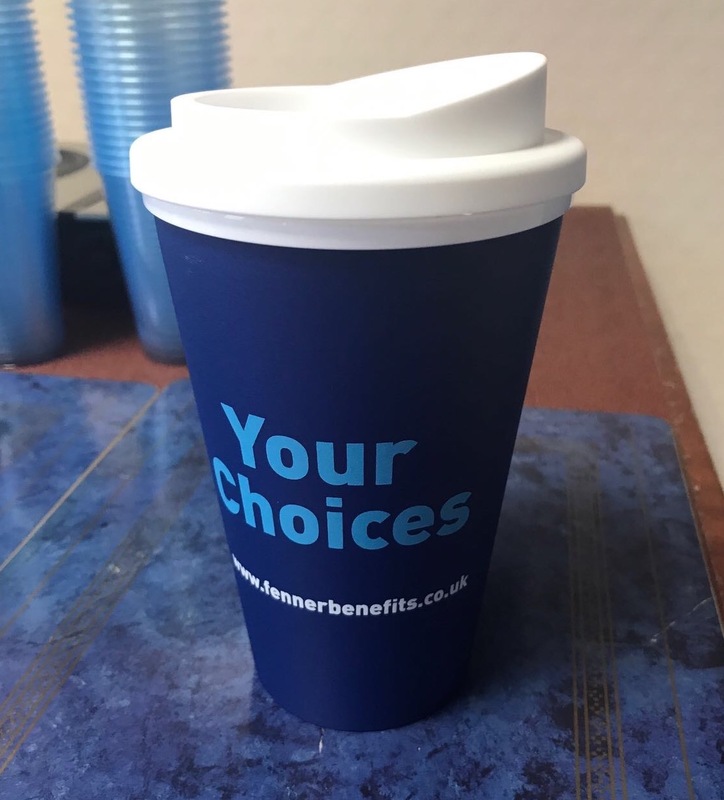 Staff were offered a free branded insulated mug featuring the website address of the benefits website just for attending. In the workshops, Better With Money trainers, helped staff to create action plans to help them move from a 2% contribution to an 8% contribution. This would cost employees an average of £80 per month, so the workshop helped them to find ways to save £80 per month in other outgoings. Employees found out about ways to boost their cash such claiming as Married Tax Allowance and ways to cut their costs like finding cheaper utilities and train tickets. They were also provided with handouts to help them on their money saving mission, including monthly and yearly budget planners and food budget planners. "The workshop was relaxed and easy going. It made me want to spend my time on MoneySavingExpert.com rather than Facebook!" More than 99% of those who attended said they had enjoyed the workshop. More importantly, 57% said they would be increasing their pension contributions as soon as possible, meeting the need identified by Fenner. More than 36% of those who attended identified having enough for the longer term as the area which most worried them when it came to money, and over 90% planned to take some action following the workshops. Extremely useful workshop, found out a lot of things which I did not know previously. It has given me many things to consider or change in the near future. Really opened my eyes to where I could save money. I wouldn’t have upped my contribution without this workshop. The Better With Money team helped us to look at this from a different angle. They developed a great workshop and plan to engage and inform our employees and make them take action.